This tutorial will cover the information on how to manually restore a cPanel backup (sites, databases and emails). It will help you to protect your data and will allow you to merge/separate a few cPanel accounts. 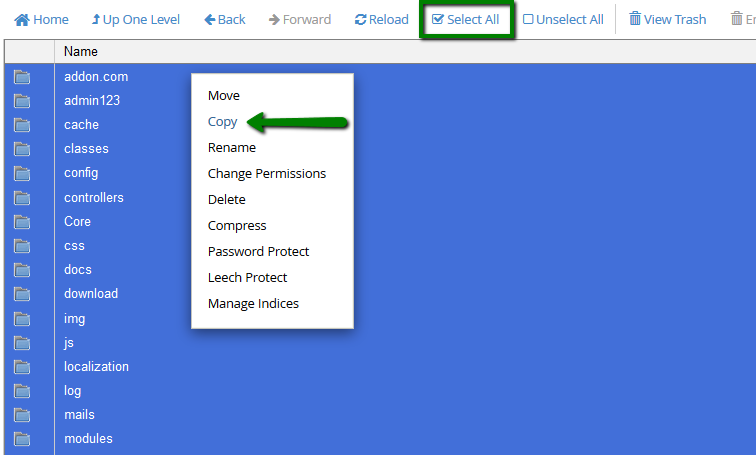 There is no automated way to separate/merge a few cPanel accounts or to restore the partial backups. So you might need to restore them manually. Let’s take a look at the situation where you have a full cPanel backup on PC. Upload the backup-11.23.2016_06-28-49_domain.tar.gz to your home folder via FTP. 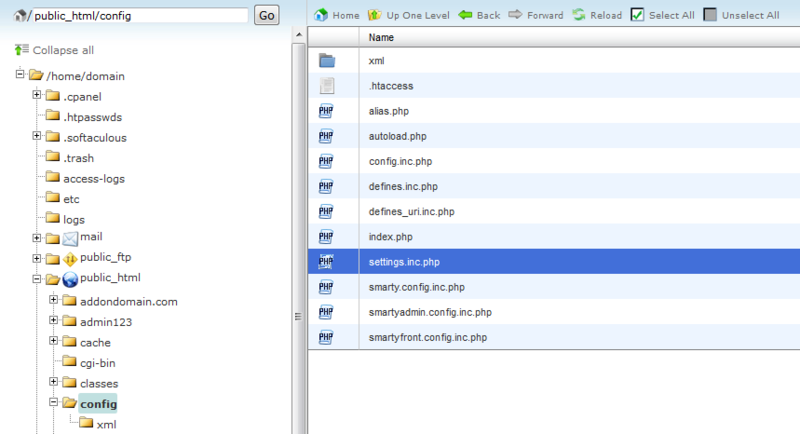 Go to cPanel > Files section > File Manager menu. 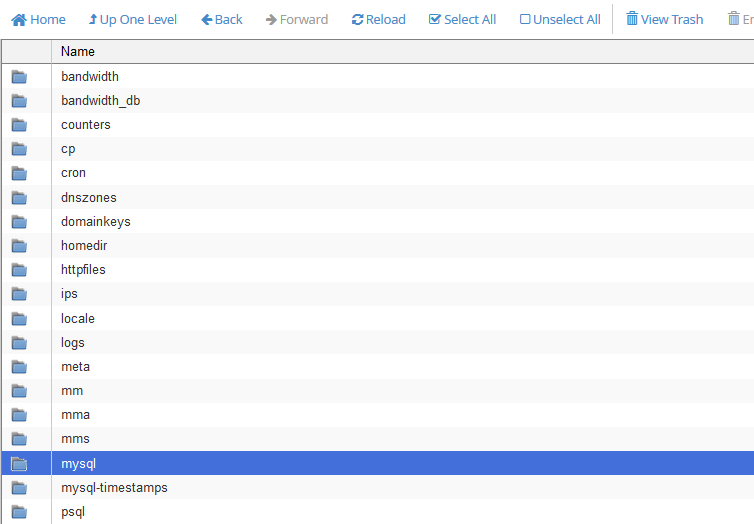 You will see the extraction results table with the list of the restored files, just close it. 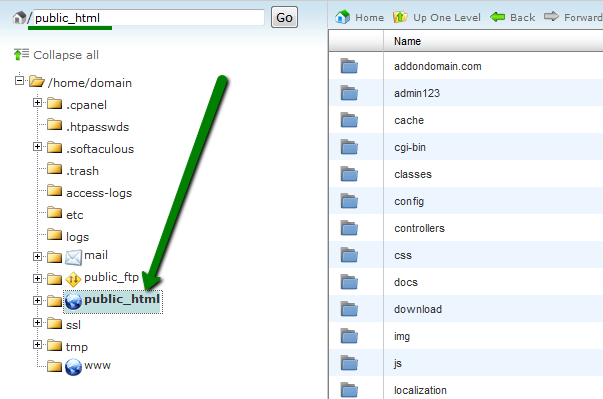 It is the document root (folder with files) for domain.com, so it contains all Prestashop files. 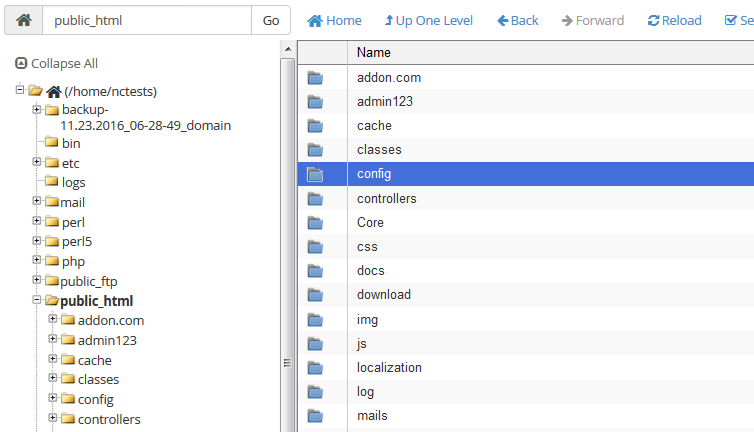 Also, there is a folder addon.com, which is the document root for addon.com domain with Wordpress files. 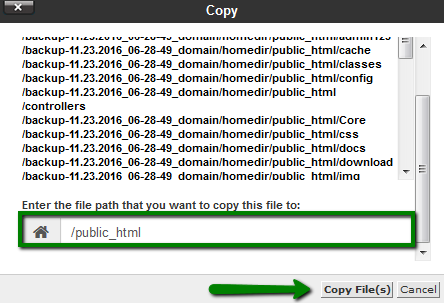 So we can just copy everything to our home/user/public_html folder (which is currently empty). Now let’s get back to the /backup-11.23.2016_06-28-49_domain folder as we need to restore the databases as well. You will see some .sql files. These are backups of your mysql databases. They will be named respectively to your domain name. 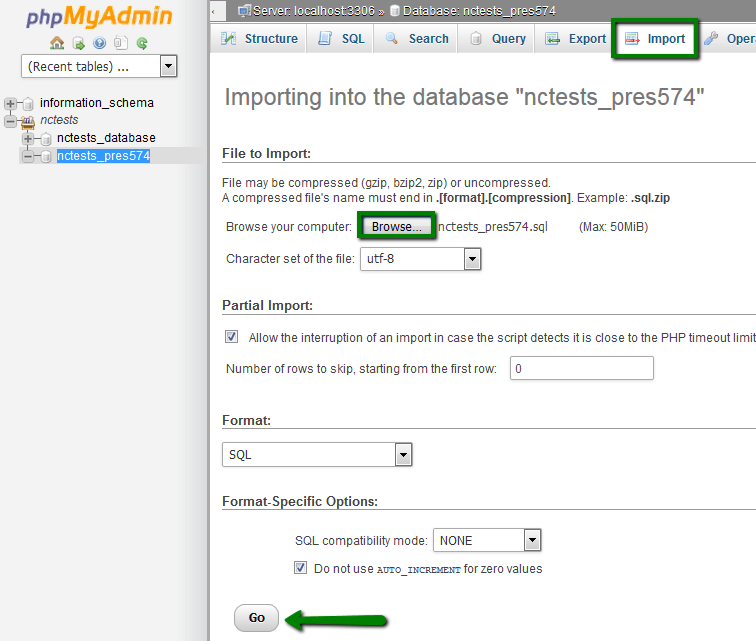 Hereinafter we will use nctests_pres574.sql (Prestashop database) and nctests_wp369.sql (WordPress database) as examples. 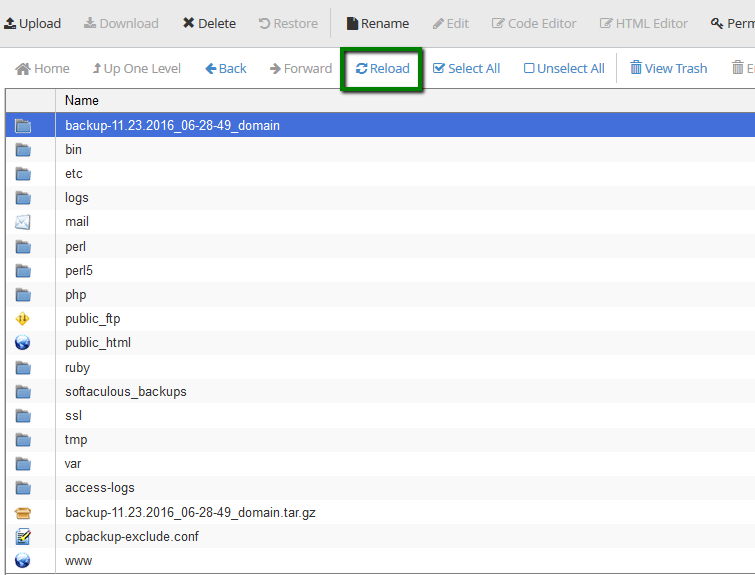 Choose the previously downloaded .sql file on your PC and click Upload. If you need more detailed information, refer to this guide. 2. 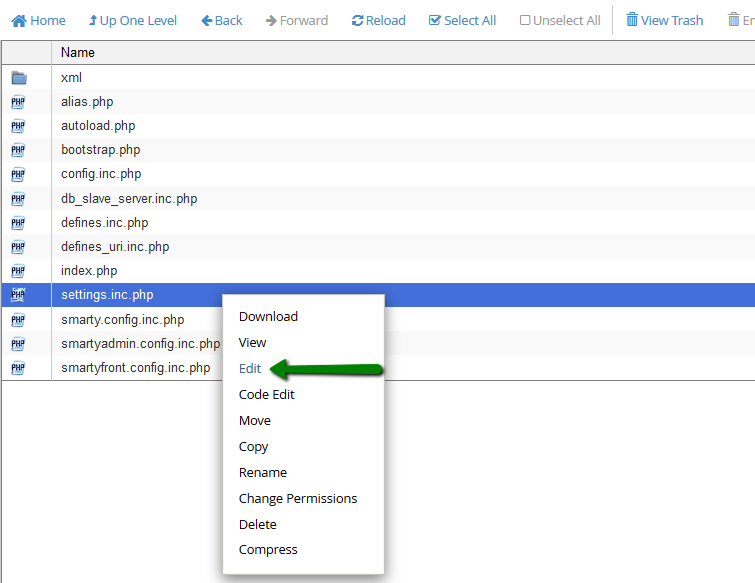 Restoration from cPanel > phpMyAdmin menu. 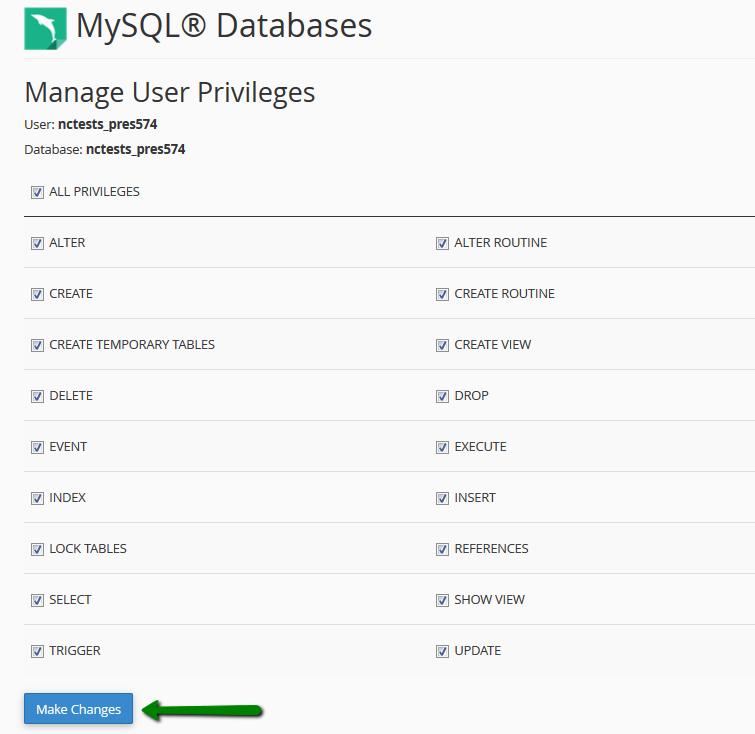 At first, you need to create the database, database user and password MySQL Databases menu. We have already done but the database itself is still empty. Scroll down and click Go to start the import. You will see a green notification that your database was successfully imported. If you need more detailed information, refer to this guide. 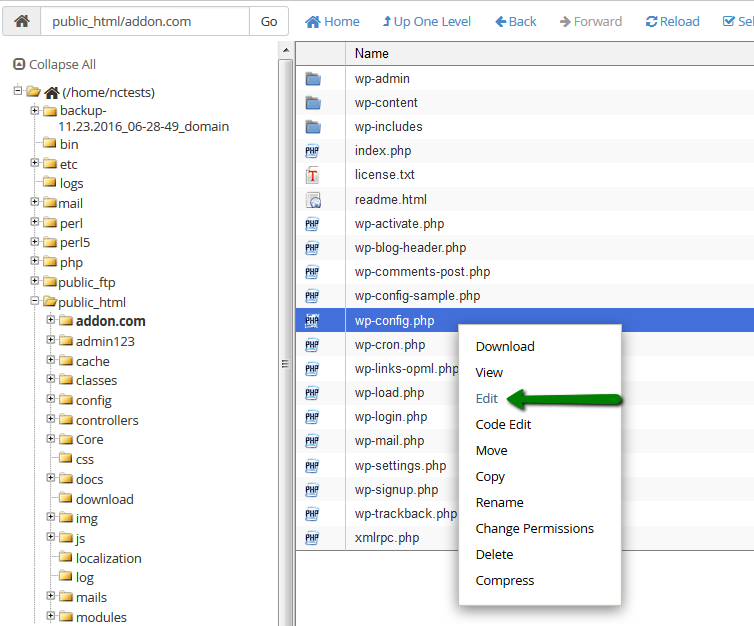 You will need to go through the same process in order to upload a database for addon.com. We are almost done. The last step is to update the configuration files of WordPress and Prestashop with the correct database details. That’s all for Prestashop, now it’s needed to perform the similar changes with WordPress. If your domain is already pointed to the hosting server, you will be able to open domain.com or addon.com in the browser and see Wordpress/Prestashop up and running. In case you had some important emails, you will be able to restore them from a full cPanel backup as well. 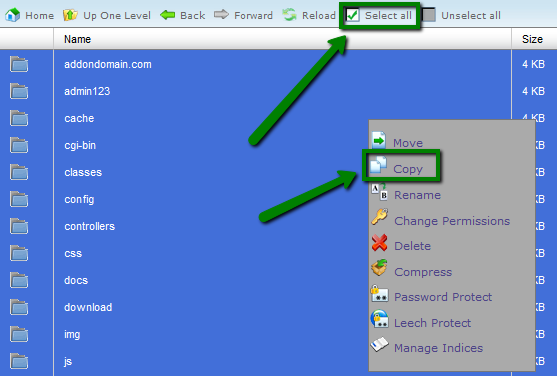 First, it is necessary to recreate the same mailbox from cPanel > Email Accounts menu. You may refer to this guide. 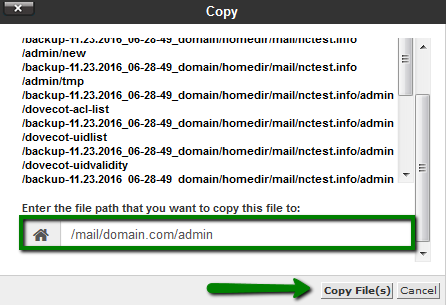 Now, browse to the backup folder > homedir folder in File Manager menu and open the mail folder, select domain.com. That’s all, check your emails via webmail or an email client. Config files and folders may vary from one hosting provider/script template to another, but the main points remain the same. In the next pop-up window you will be able to specify the path to restore the archive to, but let’s leave it empty and just click on Extract files. 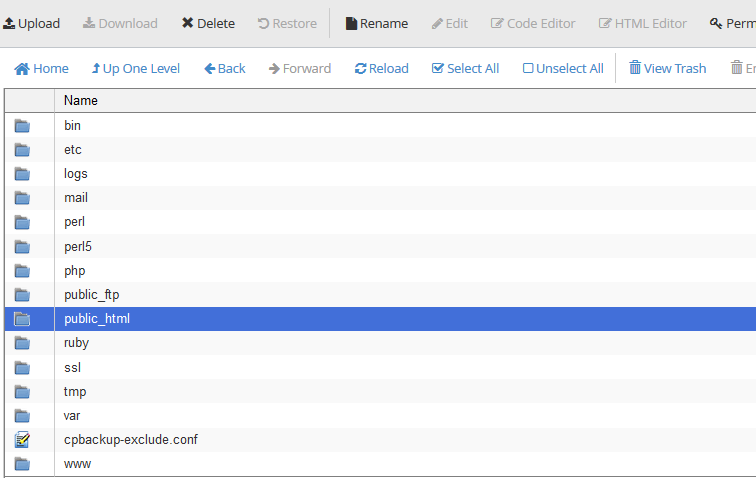 You will see the Extraction results table with the list of the restored files, just close it. 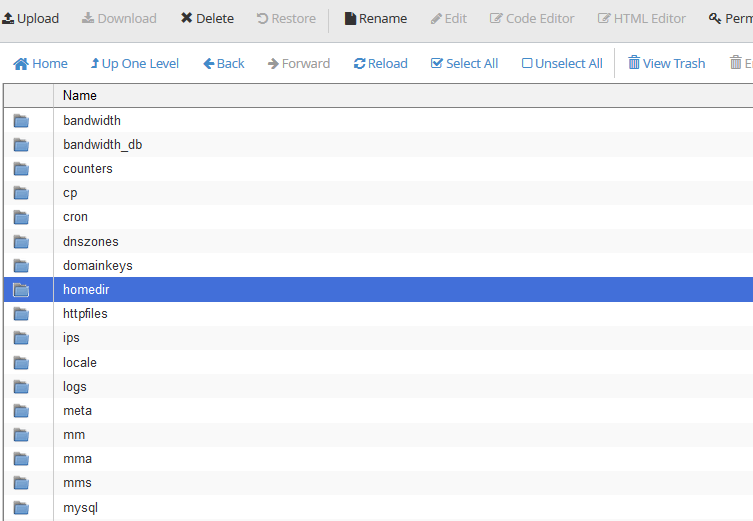 It is the document root (folder with files) for the domain.com so it contains all Prestashop files. 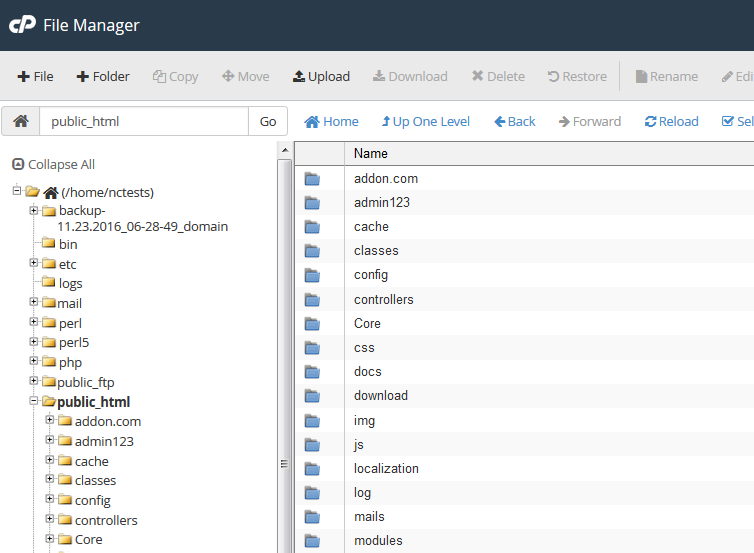 Also, there is a folder addon.com, which is the document root for addon.com domain with Wordpress files. So we can just copy everything to our public_html folder (which is currently empty). Now let’s get back to the /backup-4.4.2014_20-24-41_domain folder as we need to restore the databases as well. 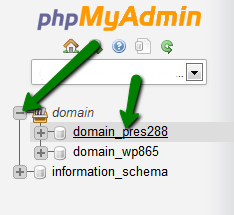 At first, you need to create the database, database user and password in cPanel > MySQL Databases menu. We have already created the database, user, password and added the user to the database but it is still empty. Scroll down and click Go to start the import. You will see a green notification that your database was successfully imported. 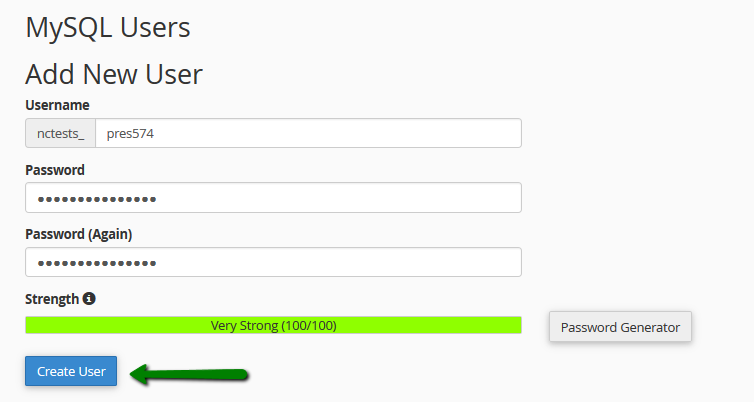 That’s all for WordPress, now it’s needed to perform the similar changes with Prestashop. 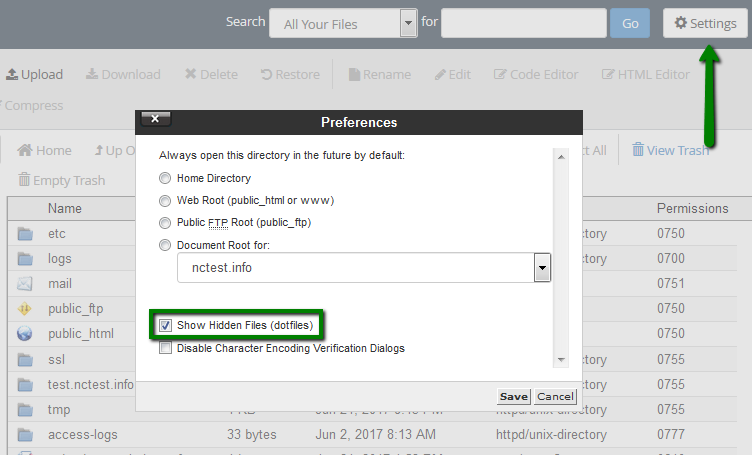 Now, browse to the backup folder > homedir folder and open the mail folder.